CyberTool Lite. 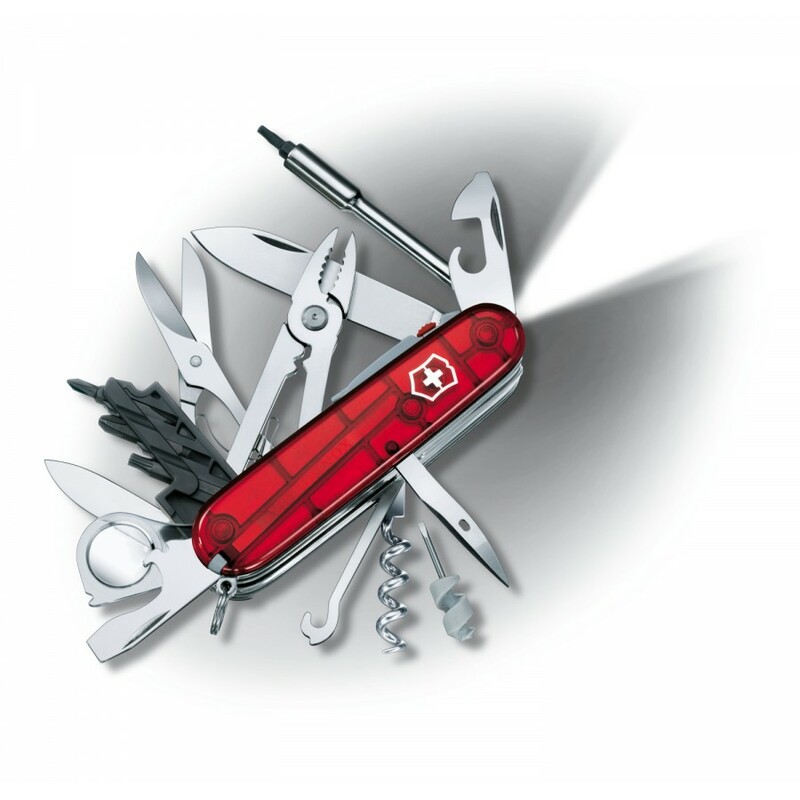 Always ready: the IT tool for the PC professional. Thanks to the bright LED and 8-times magnifying glass, no corner of the workstation remains in the dark. 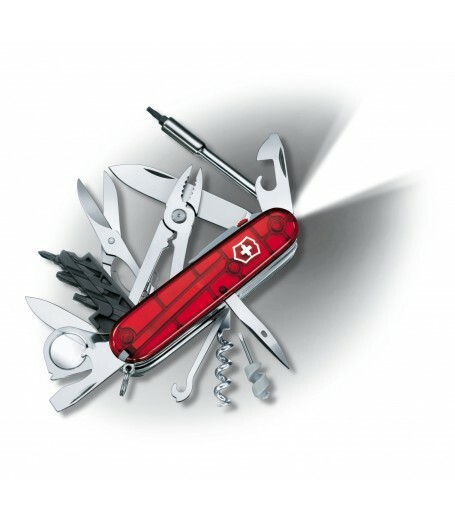 The CyberTool Lite is also the ideal pocket tool for electronics work. Includes: large blade / small blade / can opener with small screwdriver / corkscrew / reamer, punch / key ring / toothpick / tweezers / mini-screwdriver / pin stainless / multi-purpose hook (parcel carrier) / pliers with wire crimping tool & wire cutters / bit case / cap lifter with screwdriver & wire stripper / scissors / LED, light white / bitwrench with bit Hex 5 mm female for D-SUB connectors, 4 mm female Hex drive for the bits, bit Philips 0, bit Philips 1, bit slotted 4 mm, bit Philips 2, bit Hex 4 mm, bit Torx 8, bit Torx 10, bit Torx 15, ballpoint pen(also to set DIP-Switch) / reamer with sewing eye / 8x magnifying lens.